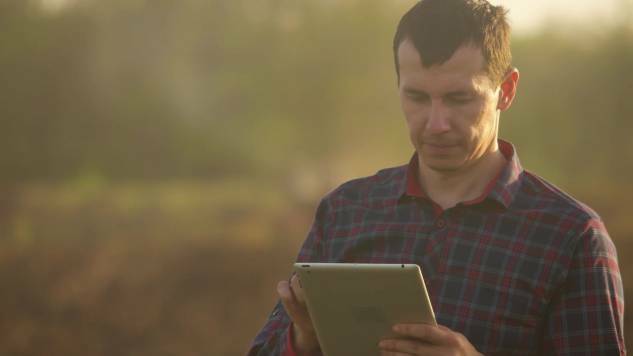 Free your staff from low value work with powerful software that improves agricultural water management. Automate Water Orders, Diversion Calculations and Much More. Watervize is a web application for Irrigation Districts with agricultural water customers. It simplifies customer service and improves the accuracy and efficiency of water order management and fulfillment. Eliminate time required for calculating water usage and diversion requirements. You have more important work to do. Our software allows you to do just that by providing accurate usage data. Don’t waste valuable time on the phone. Watervize provides customers with accurate information on current, future and past orders. It allows for instant communication and simple updates directly through the app, allowing you to focus energy elsewhere. You’re in control. Specify when and where Ditch Riders will be on duty within your district while highlighting the days the district will be off-schedule or not taking orders. Goodbye paper, hello efficiency. 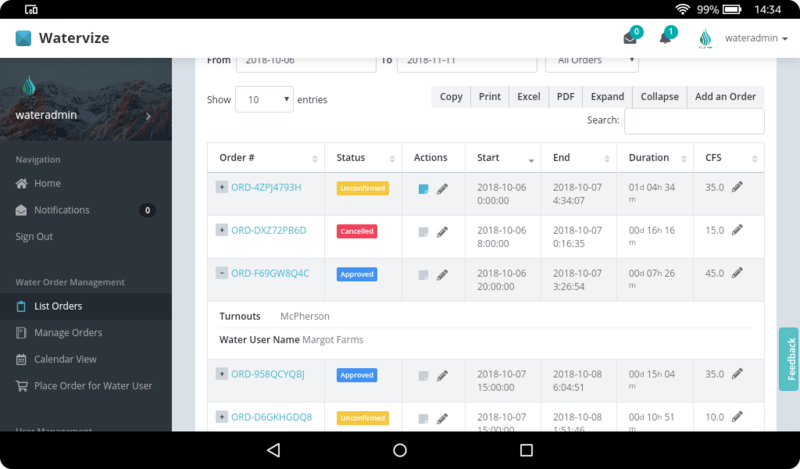 Watervize enables your district to receive and process water orders online. 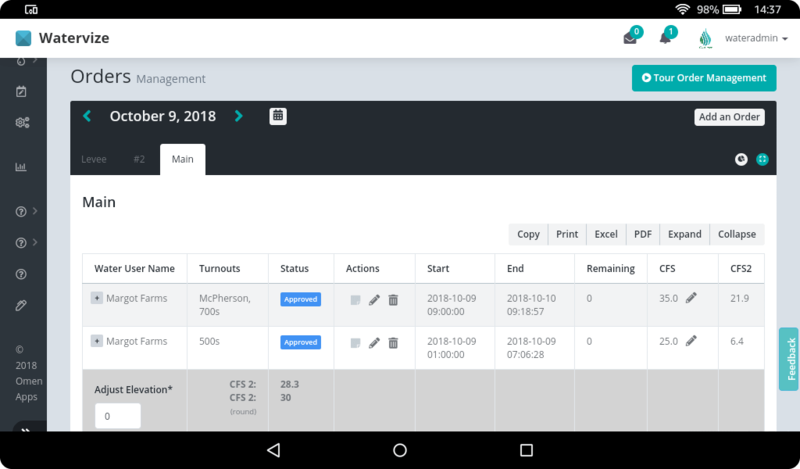 Customize your order form and collected data while giving customers instant access to past, current and future orders. Provide them clarity to free up your time and resources. District personnel and customers need both real-time and historical information to responsibly plan water orders. 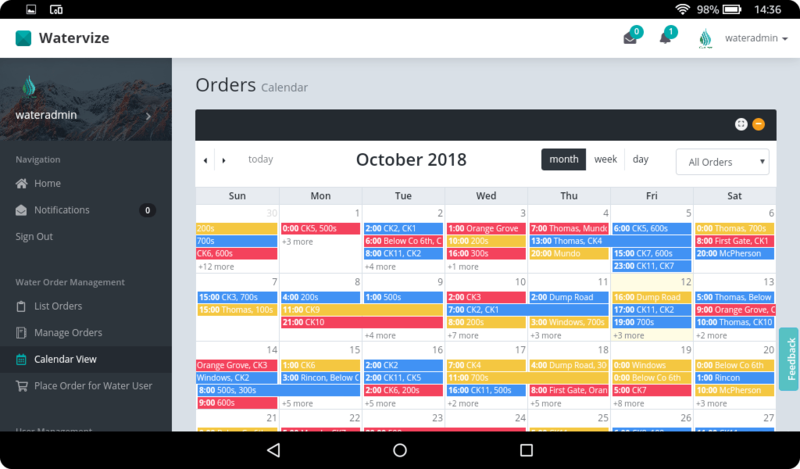 With Watervize and any internet-connected device you can save up to 20 hours per week in processing orders, scheduling orders and calculating water diversion forecasts. Did you see us at the 2018 CRWUA Conference? We enjoyed demonstrating Watervize in-person and fielding your inquiries. The 2018 Colorado River Water Users Conference was a blast and we can’t wait to fulfill all your district needs. Your Job is Tough Enough. Ease your Burden with Watervize. 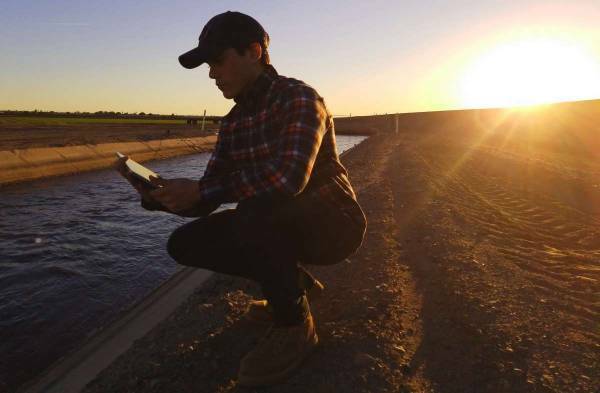 Watervize modernizes your irrigation district’s water ordering process. The safe and secure software improves customer service and simplifies operations management. The best part? It’s affordable. 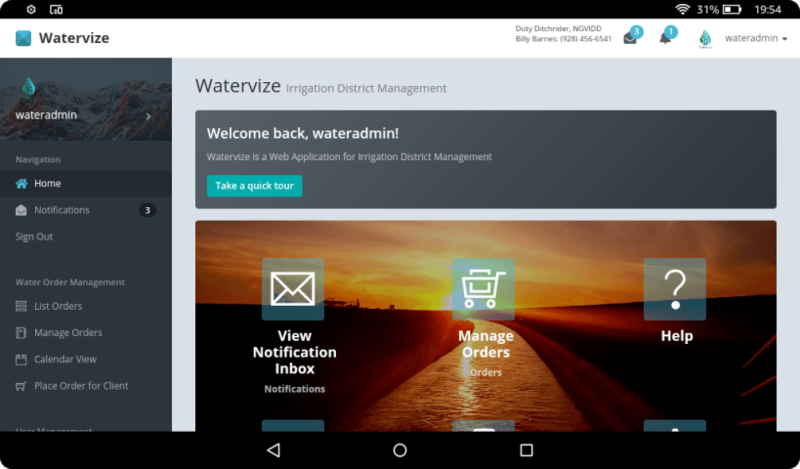 Watervize is a Web App software service from Omen Apps for improving Irrigation District operations management and online customer interaction.